Testing Xbox One X and The "Hovis Method"
By Daniel Falconer on April 9, 2018 at 3:35 p.m.
One of the more interesting in Xbox One's technical design is the Hovis Method, a hardware design process that customizes the amount of power needed for each individual One X console. 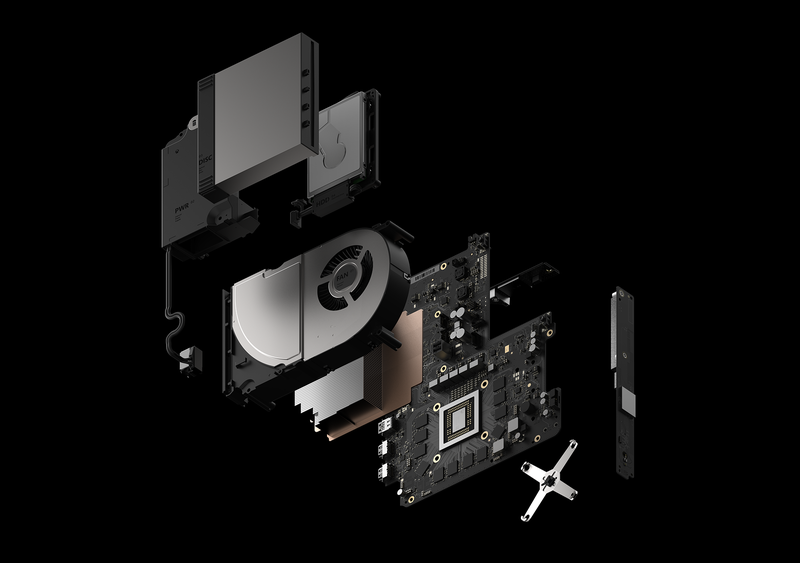 With the design of the Xbox One X, Microsoft paid a lot of attention to the delicate balance of processing power and power consumption in its latest game console. One of the more interesting in Scorpio's technical design is the Hovis Method, a hardware design process that customizes the amount of power needed for each individual One X console. Now that the console has been out for a few months, I've had time to test multiple units and see the results of Microsoft's engineering efforts. When CPUs and GPUs are manufactured, it's impossible to get a yield of 100%. No process for making silicon parts is infallible. For companies like Intel, AMD, and Nvidia they've adapted their product lines to accommodate for the imperfect manufacturing process. Processors are organized, or "binned", based on how much of the CPU is actually usable. For example, AMD's Ryzen 5 1600 has 6 usable CPU cores, but it's actually an 8-core chip with two of those cores deactivated. AMD didn't specifically design and manufacture a 6-core CPU. Instead they took 8-core chips that couldn't reach required clock frequencies, maintain certain voltage levels, and/or operate within desired temperatures and "binned" them for a lower tier computer product. Even then, not all of the same parts are made equal. You'll often hear the term "silicon lottery" in the overclocking community. This refers to the imperfections in the manufacturing process. An Intel Core i7 8700K with fewer imperfections needs less voltage to overclock to a certain frequency than another 8700K with more imperfections, even though on paper they're the same. The processors put into video game consoles are subject to the same imperfections as desktop and laptop processors. However, Microsoft, Sony, and Nintendo typically make their consoles to a single, one size fits all specification and the hardware isn't as flexible as a desktop computer. One of these specifications is power consumption. Measure the power draw of any original Xbox One console and you'll get the same value. The Xbox One X bucks this trend though, and Microsoft's implementation of the Hovis Method means that different One X consoles can consume significantly different amounts of power. The variance in power draw also has implications for how the cooling system performs. 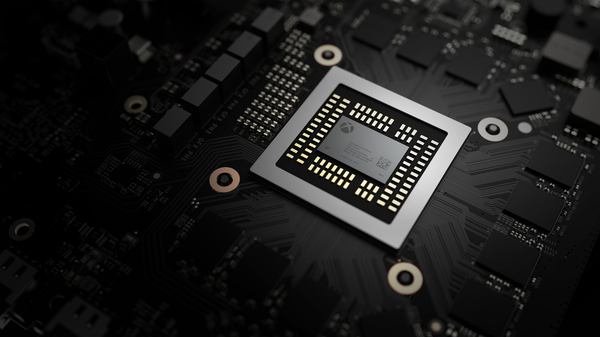 Rather than have a single power profile for all consoles manufactured, which would result in some generating excess heat by taking more power than components require, each Scorpio Engine processor has a custom power profile programmed onto the motherboard it's paired with in the factory. This process is referred to as the Hovis Method, named after Xbox engineer Bill Hovis. This means that Microsoft is able to net better yields of chips as opposed to a standard building process. Every system is highly power efficient, and the processors that require just a little more extra juice are now usable. For the consumer, this means that any two Xbox One X consoles quite literally aren't the same. Yes, they will all of course hit the same clock frequencies, data speeds, and everything else needed to run games identically. Some consoles however will draw more power than others, including my own. I put my Xbox One X Scorpio Edition through a battery of tests, pushing the console to its limits, and recorded its power draw as well as noise produced. First let's talk power consumption. One of the peak power draw scenarios I observed was playing Gears of War 4 at 4K. (The most taxing section of the game I observed was Act 3 Chapter 1, which has a lot of foliage and volumetric lighting.) This AAA first party shooter had the console pulling power as high as 189 W. This is 14 W more than what Digital Foundry recorded, and 15 W more than GameSpot when playing the same game. In fact, my power draw for Gears 4 was regularly higher than Digital Foundry's 175 W. Running the game in 1080p mode I recorded a peak of 153 W, higher than GameSpot's 144 W and significantly higher than the 128 W from Digital Foundry. Even when idling on the dashboard my console seems to draw more power; 52 W compared to Digital Foundry's 50 W. I don't know the specifics of Digital Foundry's, GameSpot's, or anyone else's testing methods. I do know that I recorded the same 110 W power draw on the original Xbox One that is reported elsewhere. Other games I tested include Forza Motorsport 7, which pulled between 160 W to 170 W in races with rain, 23 AI cars, and a 3rd person camera view. Microsoft's tech demo Insects consistently hits a peak of around 183 W in 4K and only 114 W in 1080p mode. I'm a little surprised I didn't record a higher reading playing Rise of the Tomb Raider. While running through the Geothermal Valley open world section of the game I saw a peak of 168 W when running the game in its Native 4K mode. A higher power draw means more heat is generated, and therefore requires more cooling. The One X processor is strapped with a vapor chamber cooling system; something typically reserved for high end video cards. This cooling system seems to have been designed to acoustically favor One X consoles that require less power. My console's fan is clearly audible and regularly reaches 46 - 47 dB while playing One X Enhanced games. The fan speed is highly variable. It's constantly changing speed and this can be clearly heard, even when on the dashboard at its lowest speeds. The fan is also interesting in that it's designed to "burst", or spin at very high speeds for a few seconds. I've had this happen regularly in multiple games; Gears of War 4, Rise of the Tomb Raider, Forza Motorsport 7, Wolfenstein II: The New Colossus. I've recorded bursts as high as 53 dB. In contrast, the "whisper quiet" original Xbox One was a constant 43 dB. Taking into account the fan bursts, some One X consoles are ten times louder than the original Xbox One. Comparing these values to Digital Foundry, they never reported a sound level higher than 45 dB for their multiple One X consoles. My best guess for this odd fan profile is that it's closely tied to power draw and heat generation in order to keep the unit as quiet as possible. This works out for some units. It's my understanding that "quiet" One X consoles can and will still experience fan bursts. However, they're not nearly as audible overall compared to louder units. They're drawing less power and generating less heat so the fan doesn't need to spin as fast. These louder consoles are exacerbated by two factors. The One X's cooling system is sporting a fan that is significantly smaller than the one in the original Xbox One. Smaller fans need to spin faster than larger ones in order to cool the same amount of heat. Also, the noise generated by a smaller fan is at a higher pitch, so the sound is more noticeable than the low hum of a larger, slower fan. If your gaming consoles are connected to a nice sound system that you like to crank up, or if you wear headphones, the sound levels likely won't be an issue. But if you're like me and keep consoles on your desk, and you end up with a loud One X, you'll always be aware of the sound. Eventually I put in a warranty claim on my launch One X. While I suspected that my original console was functioning as intended, I had at least hoped I would get a console that was quieter. Well, my replacement console just as loud, although the fan speed seems to not be quite as variable. It also draws even more power. Playing Gears of War 4 drew about 10 W more on average compared to my original console during the same campaign section. Rise of the Tomb Raider was about 5 W more when running through the Geothermal Valley. Then there's Wolfenstein II: The New Colossus. For as great as the story is, this game is notoriously unoptimized. Running at 4K pulls a nearly constant 200 W on my replacement console. On the flip side is Forza Motorsport 7. I found it interesting, but not entirely surprising, that the best optimized Xbox game required the same 160 - 170W on the second console during my testing. Taken as a whole the Xbox One X is a fantastic piece of hardware. Microsoft created a 4K gaming console with little to no compromises in the smallest box they've ever made. It's also a great value. At $500 the One X regularly outperforms the $400 PS4 Pro, and is significantly cheaper than a GTX 1080 Ti (if you can find one). 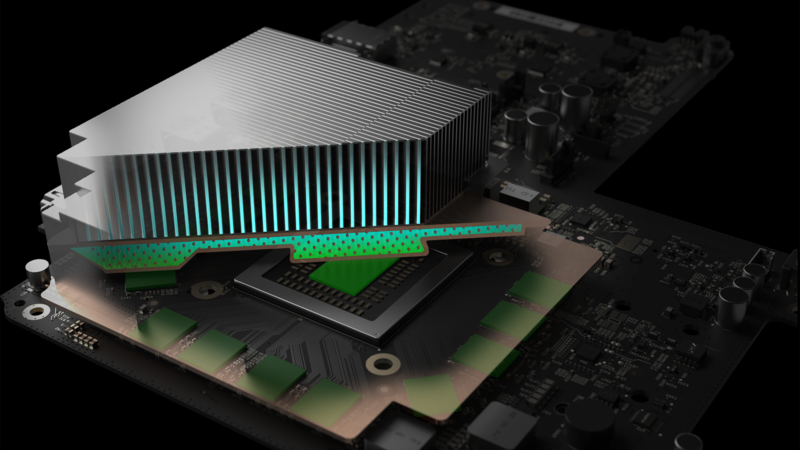 Microsoft's Hovis Method contributes to the fascinating engineering that helped make the Xbox One X. Unfortunately, some users are ending up with a console that is louder than Xbox One owners are accustomed to. Had the One X been a larger box with a bigger fan the noise levels would be a non-issue. This is the trade off Microsoft made in their aspirations of putting the most power console ever inside of the smallest Xbox ever. Future Xbox consoles could very well continue to be designed to use the Hovis Method. By getting better yields on parts Microsoft is able to lower production costs. The hardware needed for making 4K gaming a reality isn't cheap. Anything to make costs lower for Microsoft makes the product more viable, and can lead to a device with a lower price tag for you and me.